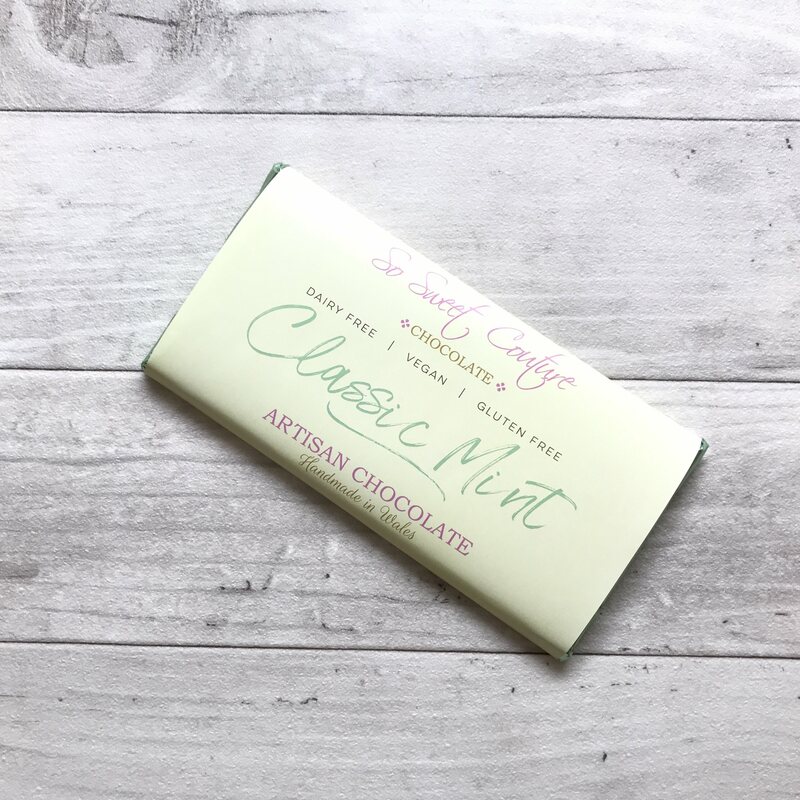 3 hand made dairy-free white chocolate bars infused with natural peppermint oil. cocoa butter, sugar, rice powder (rice syrup powder, rice starch, rice flour), rice flour, peppermint oil . Contains Cocoa fat 48% minimum.